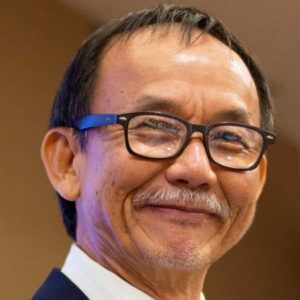 The wife of the Malaysian pastor Raymond Koh, abducted near Kuala Lumpur a year ago yesterday (13 February 2017), has issued a statement pleading for his release, as Channel NewsAsia reports. “My wish is for Raymond to be released so that he can be reunited with his family, especially this Chinese New Year,” Susanna Liew said. Koh was kidnapped by masked men driving black 4×4 vehicles. They ambushed his car in a military-precision operation that was caught on CCTV. Before his abduction, the pastor had been accused of preaching Christianity to Muslims in the northern state of Perlis (proselytising Muslims is illegal in Malaysia) and had even been sent bullets in the mail. Following his abduction, his family were incensed when they heard police had been investigating the accusations against him, rather than focusing on pursuing his captors. Police said later they were looking into the potential links between the accusations against him and his kidnapping. They also said the pastor could have been a victim of human trafficking. Then last month a part-time Uber driver, Lam Chang Nam, was charged with his kidnapping. Lam, 31, was originally charged in March last year with attempting to extort $30,000 Malaysian dollars (US$7,600) from Koh’s son for the release of his 63-year-old father. At that time he was cleared of any involvement in the kidnapping. But then on 10 months later he was charged, and pleaded not guilty, leading Koh’s wife to question the police’s judgment.